Home » What is the Average Settlement for a Drunk Driving Accident? Dealing with an injury from an accident caused by a drunk driving can be incredibly difficult. We understand that you feel frustrated or even angry. Feelings of anger are completely normal in such a situation, as a drunk driving accident IS one that could have been avoided. However, stewing in your anger will get you no closer to justice. Hold the drunk driver financially responsible for the damages caused by his or her actions. Channel your anger and reach out to our drunk driving accident lawyers at the Olson Law Firm today. We can help you use your frustration in a constructive manner—to build a solid defense and fight for the financial recovery you need to pick up the pieces of your life and move forward. What is the Average Drunk Driver Accident Settlement? What they mean is, will the size of the settlement outweigh the legal costs of pursuing one? The truth is it depends. Every car accident case is unique. It does not matter if the crash was caused by a drunk driver or a sober one. Each case contains unique factors that ultimately affect the overall outcome of the case. After suffering injuries in a drunk driving accident, you want to know what size settlement to expect. We likely cannot provide you with an exact answer. We can, however, tell you that drunk driving cases typically yield higher settlements. The amount of economic loss suffered. Another factor that plays a role in the outcome of a drunk driving case is legal representation. Those who try to represent themselves typically settle for far less than what they deserve. Those who retain experienced and aggressive counsel should not settle until a fair amount can be negotiated and agreed upon. Accident victims who hire an experienced drunk driving accident get more out of their case. Possible Compensatory Damages: Compensatory damages are those intended to compensate the victim for his or her economic and non-economic losses. Such losses include special damages (past and future medical expenses, lost wages, loss of earning capacity, property damage, etc.) and general damages (mental anguish, loss of enjoyment of life, pain and suffering, etc.). Possible Punitive Damages: Punitive damages compensate the victim, but also punish the defendant. In many drunk driving cases, Colorado does award punitive damages, as drunk driving is an act of gross negligence and one that demonstrates wanton disregard for the safety of others. While punitive damages are never a guarantee in drunk driving lawsuit settlements, they are common. 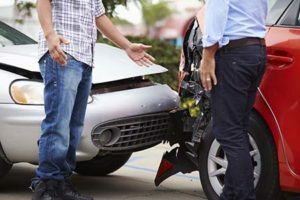 Unfortunately, there is no average drunk driver lawsuit settlement to which drunk driving accident victims can refer to decide if pursuing a lawsuit is wise or not. However, know that if a reputable lawyer does agree to take on your case, chances are it is because he or she anticipates your particular case to yield a sizeable award. If you or a loved one was injured in a car accident caused by a drunk driver, take the first step to physical, emotional, and financial recovery. Contact the Olson Law Firm today to schedule your free initial consultation, and to learn what you need to do to maximize your recovery. We serve accident victims and their families in Denver, CO, and Cheyenne, WY, and surrounding areas. Contact our team today to get started.